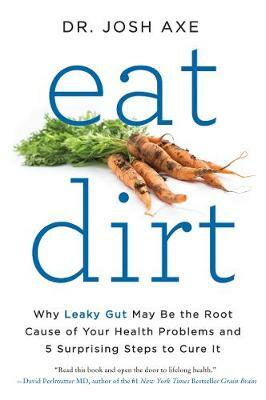 From the author of the international bestseller EAT DIRT, a 30-day plan to burn fat, fight inflammation, and reverse disease using the keto diet. In KETO DIET, bestselling author Dr. Josh Axe sets the record straight, offering thorough, step-by-step guidance to achieving lifelong health. Unlike other books on the subject, KETO DIET identifies and details five different ketogenic protocols, and explains why picking the right one for your body and lifestyle is fundamental to your success. Complete with shopping lists, delicious recipes, complimentary exercise routines, and accessible explanations of the science, KETO DIET will give readers all the tools they need to say goodbye to stubborn fat and chronic disease once and for all. Buy Keto Diet: Your 30-Day Plan to Lose Weight, Balance Hormones, Boost Brain Health, and Reverse Disease by Dr Josh Axe from Australia's Online Independent Bookstore, Boomerang Books.